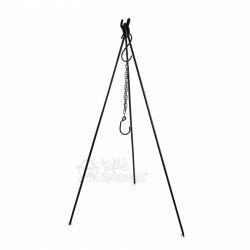 High quality ‘Bon-Fire’ kettle designed to sit on a stove, fire grill or hang from a tripod. 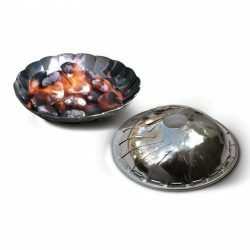 Stocked by popular demand due to the difficulty in finding reasonably priced, hardy non-aluminium campfire kettle. Fits onto our rocket stoves including the G3300 Envirofit and EcoZoom Versa models. 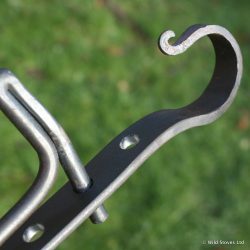 This is also ideal for hanging from a tripod over a small fire… The handle is made from bakelite and is heat resistant, but will be damaged if subjected to prolonged direct flames. This is a great kettle, it has been used on many camps and in the garden for 4 summers now. It is still in excellent condition and will last for years to come. 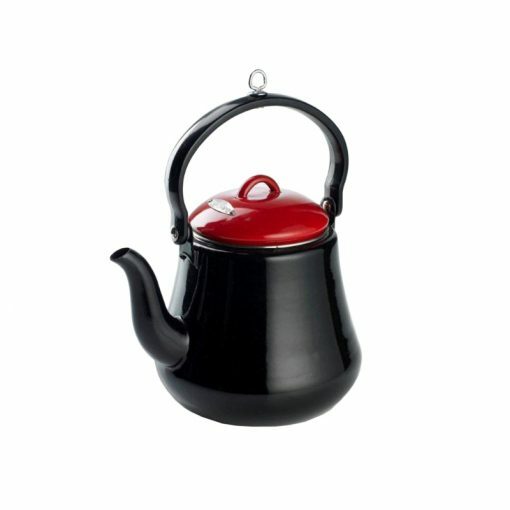 A robust good looking kettle that pours really well. Great kettle, and perfect for my rocket stove. Thanks for the feedback, and sorry to hear your experience. This is indeed the case, per our detailed product description. However, like many of the hundreds we have sold in recent years, we have had one of these kettles as part of our Wild Stoves festival rig used on many fires and stoves for 7 years, and it is still going strong! If flames are licking around the top of the kettle enough to damage the handle it would likely taint the water anyway. I bought the kettle to stand on top of the EzyStove, as advertised. I wouldn’t recommend this- the kettle has a small rounded base and, when filled with water, becomes unstable and does not balance on the EzyStove bars. It fell off repeatedly. It would work on a flat topped stove or suspended over a fire, but definitely not designed to fit or be safe with the EzyStove. Thanks for the feedback. 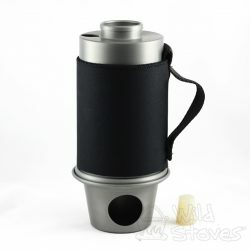 We no longer stock the EzyStove, and now sell other rocket stoves with flatter tops, so hopefully this would no longer be an issue. However, we have used these kettles with EzyStoves for many years without issue. Good looking on the Aga or in the middle of a field. Thanks – glad you like it! And they scrub up well even after a summer on a fire.